Front wall spalling bricks out onto the lawn, roof covered by a tarp, holes in the floor, mold on the walls, vinyl windows in place of old-growth wood. Economic asset? You bet. 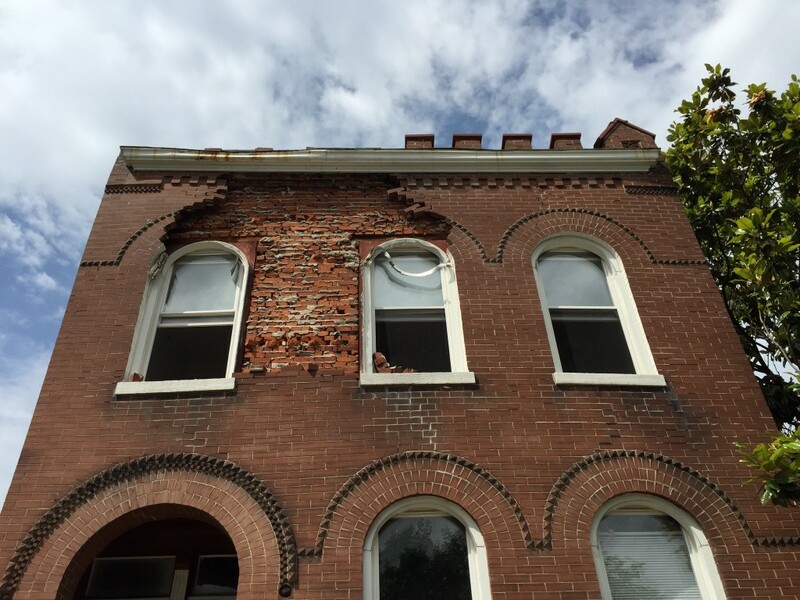 Thousands of St. Louis buildings reach this state, and they all have a chance at recovery when they find the right owner and the public incentive of Missouri’s 25% historic rehabilitation tax credit. Heritage Properties LLC has stepped up and claimed this urban prize. After an extensive rehabilitation, the company will reset the life of this building, and it will become a single-family dwelling. The two-family on Gibson Avenue suffered the slings and arrows of less-than-outrageous ownership. Again, the abject state of this house is far from the worst in the city. All of the original character is salvageable, and ready for renewal. Of course, renewal is possible because the neighborhood’s leaders invested in a national historic district designation as early as 2001. That designation brings the financial resources that make this rescue just another day in the life of preservation in St. Louis. The dwelling is an excellent example of the vernacular interpretation of the Romanesque Revival style: pronounced arcades trace the windows and doors, and the top parapet forms a castle-like silhouette. The dwelling historically contained two units, like many other “two family flat” buildings in the neighborhood. At 110 years old, the building’s architecture still opens tired eyes. Preservation Research Office: have hard hat and steel-toed boots, will advise any renovation.